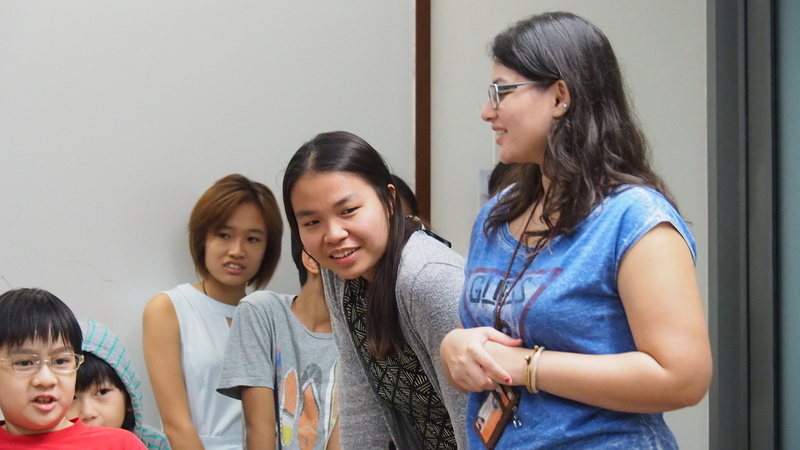 After her time in junior college, Saza Faradilla ’18 had an idea: to develop an education curriculum free from the typical rote learning and memorization that most students in Singapore have had to go through. Together with Lim Chu Hsien ’18, Yogesh Tulsi ’20 and volunteers from the Yale-NUS College student body, Faradilla founded KidsAccomplish in Feb. 2015. General lessons with interesting themes were held every weekend for children between the ages of 8-12. Since then, much has changed. KidsAccomplish has shifted from its humble beginnings at Residential College 4 with only 12 children to its permanent location at Cendana College with 50 children. The leadership has since changed hands from the founding trio to current President Sheryl Tey ’19 and Vice-President Adila Sayyed ’19. The Octant took some time to ask the the leading duo about KidsAccomplish, its importance, and their vision for education in Singapore. Excerpts from the interview follow. The Octant: Right now, what do you guys do? 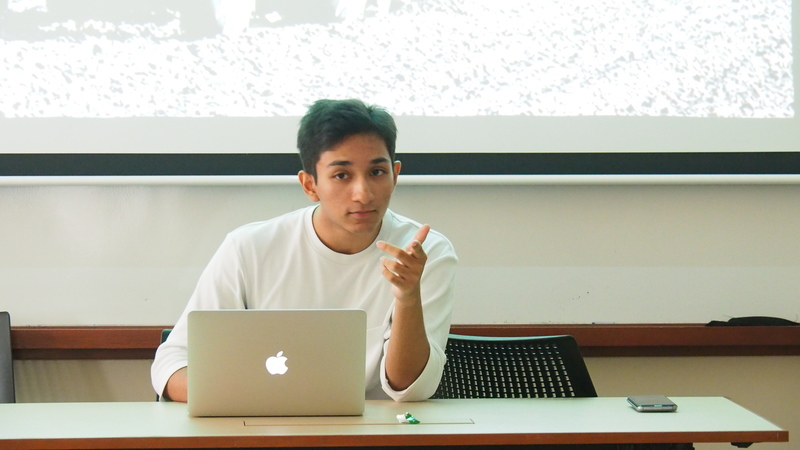 Adila Sayyed: Initially when [Faradilla, Lim and Tulsi] started off they wanted to model it after the Yale-NUS liberal arts and sciences curriculum. All the kids start off with general themed lessons, but after five weeks in class they’re given the opportunity to move up and specialise in their electives. Sheryl Tey: For this semester our theme for the general lessons is superheroes. We are exploring different topics like gender, how different cultures portray superheroes, myths and legends of superheros, real life superheroes, etc. At the end of these lessons we hope to get the kids to do their own comic books as their little projects. But besides general lessons we also have electives, which is something very new we came up with just last semester. [Last semester] we had electives like psychology and political theory. For this semester we are teaching political theory, economics and coding [as our electives]. What we are right now is quite different from what we were before. We have moved away from just doing lessons about countries. For example last semester we did themed lessons on dragons. Just like for superheroes, we would try to bring in other social and political issues based upon dragons. A: Unlike in primary schools where a curriculum and grading is enforced, KidsAccomplish gives the child more options for learning. In our case, kids who are not interested in any of these electives can stay on with the general lessons for ten weeks or choose those electives for the last five weeks. And these electives are taught by people in this school who are very passionate about these subjects. So for example, Patrick Wu [’19] teaches political theory. Anandita Sabherwal [’19] taught psychology last semester and this semester we have Aditya Karkera [’20] who is teaching economics. Aditya Karkera ’20, whose specialty is economics. TO: Why do you think what you do is important? A: I came from a neighbourhood school in secondary school and I see so many people lose the love for learning because they think that it’s something that you have to excel in, not something that you experience. There’s a joy in learning which a lot of people at a very young age lose because of the pressures from the education system. We want to be a supplement to the education system in Singapore where we tell kids that hey, you can come and learn and you don’t have to take down notes, pages of notes after notes and you don’t have to perform well in exams. We tell them that it’s okay to do badly, it’s okay to be not interested in certain parts as long as you are experiencing things and you find a joy in learning. S: I was actually quite inspired ever since I came to [Yale-NUS] because I feel like people here seem to be more passionate about what they do as opposed to how I felt when I was in JC [junior college], where the atmosphere was really just studying to well in my A Levels. But now there are people doing a lot of [artistically driven] stuff, people passionate in science and that really pushes me to bring that [passion] into KidsAccomplish. (L -R) KidsAccomplish President Sheryl Tey ’19 and Vice-President Adila Sayyed ’19. TO: What have the challenges been so far? A: One sad thing is that the demographic where most of the children come from is not what KidsAccomplish started off trying to serve. We do have a diverse group of people but we find it very hard to penetrate through [to] people from lower income backgrounds. Many of them feel like it’s better to spend the money that we charge on tuition centres for them to do better for school subjects. I think it’s very easy to penetrate [through] to more financially privileged backgrounds, so the response from this group is very high. They’ll keep sending their kids. They’ll bring their friends and ask them to admit their kids into the class. S: So this actually caused a problem for us, because now there’s a misconception that KidsAccomplish is only for rich kids. A: There’s this notion in volunteerism where to volunteer means to serve someone who is underprivileged. But contrary to that, what we do is to volunteer to serve a cause, which is to spread the love for learning with this alternative form of education. So we’ve had volunteers leave because they felt like they were not serving people from underprivileged backgrounds. TO: How’s the feedback been? A: The kids do really love it. The kids are at the age where they want to “act cool” and not tell anyone that they enjoy what they’re doing. However, we get feedback from parents saying that they look forward to coming to class every Saturday. And even when we did feedback forms, more than 80% of the kids say they look forward to coming to classes all the time. I think that’s how the kids feel. But how we got to this stage where we grew to take in 50 kids [in the present] as opposed to [enrolling] 12 kids at the start was partly due to us being published on the Straits Times once, where we just had this overwhelming response from registration. We were also featured on this Japanese magazine because we have a Japanese kid and his mom wanted to feature us on this magazine. I think she knows someone in the magazine. That was pretty cool, and then we started getting a lot of registrations from Japanese kids. Classes are not restricted to the classrooms, but are also held around Cendana College. TO: What do you have in mind for the future? A: I see more children joining KidsAccomplish in the long term. To become sustainable, we hope that more volunteers will come and join so we can spread the love for learning on a larger scale. Maybe the next [executive committee] can try reaching out to primary schools and just conduct classes in the schools. I believe that after the PSLE [Primary School Leaving Examinations], or right after exams, schools will be on the lookout for enrichment classes. I hope we can go and serve a purpose there, that we can teach kids. S: Also for this registration, we reached out to a bigger demographic. We are seeing more [diverse racial representation] this semester as compared to the last. So it’s good to know that we’re reaching out to a bigger group. KidsAccomplish holds their lessons every Saturday of the semester around Cendana College from 1:00-3:30PM. For additional information, rates and sign-ups, visit www.kidsaccomplish.com/.